All living things - from bacteria and fungi to plants and animals - need phosphorus. But extra phosphorus in the wrong place can harm the environment. For example, when too much phosphorus enters a lake or stream, it can lead to excessive weed growth and algal blooms. Low-oxygen dead zones can form. Runoff from agricultural sites can be an important source of phosphorus pollution. To help evaluate and reduce this risk, the USDA first proposed a phosphorus index concept in the early 1990s. Since then, science progressed and methods improved. In New York State, scientists and agency staff developed and released a phosphorus index in 2003. Now, a new project proposes a restructured index to build on phosphorus management efforts in that state and beyond. "The idea is to account for the characteristics of a field, and help evaluate the risk of phosphorus runoff from that location," says Quirine Ketterings. Ketterings is lead author of the new study. The new index structure improves upon previous approaches. It focuses on the existing risk of phosphorus runoff from a field based on the location and how it is currently managed. Qualities like ground cover, erosion potential, and distance to a stream or waterbody all come into play. The index also highlights best management practices to reduce this risk. "The new index approach will direct farmers toward an increasingly safer series of practices," says Ketterings. "Higher-risk fields require more and safer practices to reduce and manage phosphorus runoff." 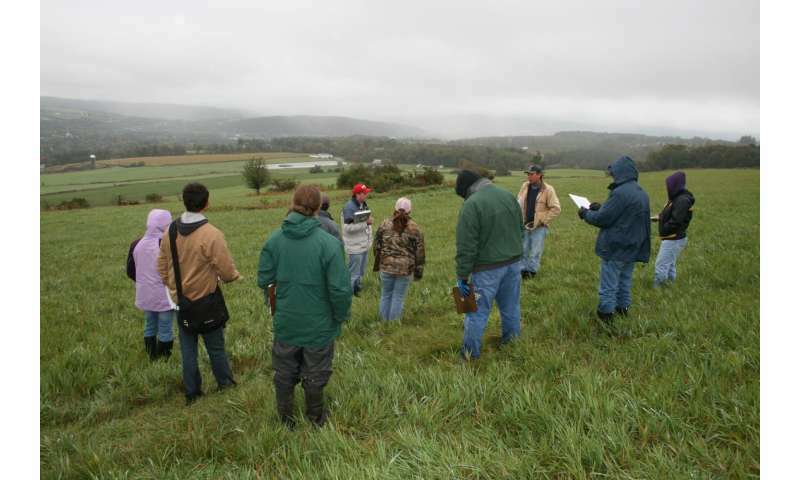 Ketterings directs the Nutrient Management Spear program at Cornell University. She and her colleagues used a combination of surveys, computer-generated examples, and old-fashioned number crunching. They used characteristics of thousands of farm fields to develop the new index. Involving farmers and farm advisors was also a key step. Development of the modified phosphorus index involved farmers and farm advisors. Their hands-on experience helped ensure a more workable final product. Credit: Q.M. Ketterings. "As stakeholders, farmers and farm advisors are more likely to make changes if they understand why," says Ketterings. "Plus, they have experience and knowledge that folks in academia and in governmental agencies often do not." This field experience can be vital. "Involving stakeholders in decision-making and getting their feedback makes the final product more workable," says Ketterings. "It may also prevent mistakes that limit implementation and effectiveness." Ketterings stresses that the previous index was not wrong, "Farming is a business of continuous improvement and so is science," she says. "The initial index was based on the best scientific understanding available at that time. Our new index builds and improves upon the experience and scientific knowledge we have accumulated since the first index was implemented. It is likely this new index will be updated in the future as our knowledge evolves." The previous index approach could be somewhat time-consuming for planners, according to Ketterings. Further, it didn't always help identify the most effective practices for farmers. The new approach addresses both of these issues. "We wanted the new index to be practical to use," she says. "The best index has no value if people cannot or will not implement it." In some circumstances of low or medium soil test phosphorus, the original New York state phosphorus index allowed farms to apply manure and fertilizer in what we now consider to be potentially high-risk settings. 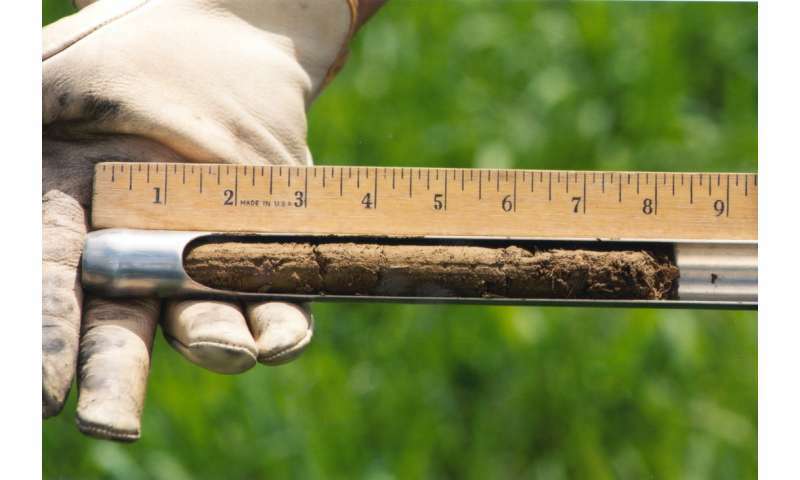 "The new index approach proposes soil test phosphorus cutoffs and also encourages placing manure below the soil surface," says Ketterings. "These changes will bring improvements in phosphorus utilization and management across the farm." Ketterings also thinks that the new index is more intuitive. "It allows for ranking of fields based on their inherent risk of phosphorus transport if manure was applied," she says. "It really emphasizes implementing best management practices to reduce phosphorus losses from fields." In addition, the proposed index approach could make it easier to develop similar indices across state lines, according to Ketterings. This makes sense, since watersheds don't follow state boundaries. Growers could use different practices, if deemed appropriate, for different regions.